One child free entry with two paying adults. Receive 10% off admissions for upto 6 people. Just show this offer to the cashier at time of entry. Offer can not be used in conjunction with any other offer or discount. This voucher entitles you to 20% off the Clip & Climb admission price. SAVE 10% OFF THE FULL ADMISSION PRICE. Valid for use for up to six people. Not to be used in conjunction with any other offer, group ticket, or for special events. Get £5 off your total booking for minimum 4 people or more when booking online or by phone. Valid until 31st October 2019. Receive 10% off the full admission price. Not to be used in conjuction with any other offer, group ticket or special event. 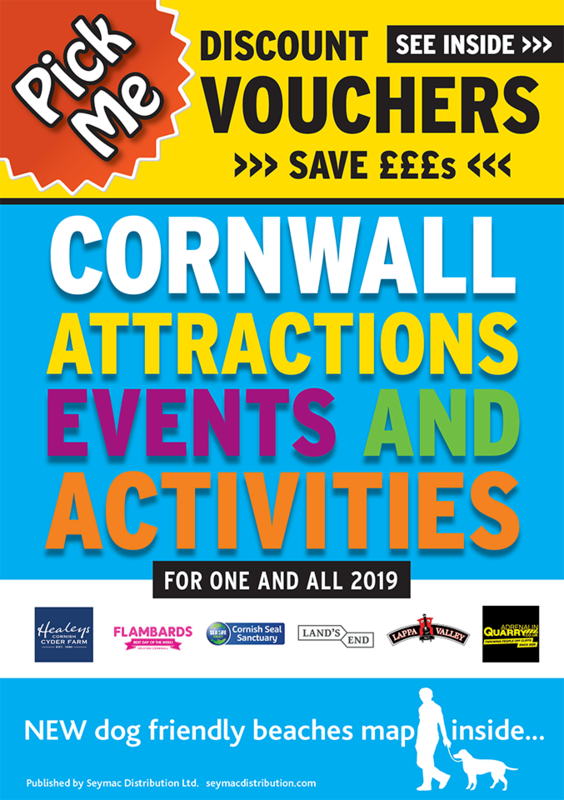 Present this voucher at admissions or book online at www.flambards.co.uk. Are you a resident of Cornwall? Bring along an official proof of address and register to enjoy 10% off tours, goods or restaurant purchases at Healeys Cyder Farm. Present your device to recieve £1 off per person. Maximum 6 persons. Max 4 people, can only be used once. £1 off per person on full paying adult, child concession tickets. Up to 5 people per voucher. Voucher must be produced at time/point of purchase, discount cannot be applied retrospectively. Cannot be used on a Family Saver Ticket. Not to be use din conjunction with any other offer or discount. SAVE UP TO £6 - that's £1 off for up to 6 people off standard entry. This voucher entitles the bearer to 10% off the price of a family ticket for up to two adults and three children at Pendennis Castle. This is an exclusive offer. Save 10% off the full admission price when booking online 24 hours in advance - QUOTE: FOA19 at the online checkout. Not to be used in conjunction with any other offer or discount, group ticket or for special events. Present this voucher to receive £1 off per person (maximum 5 people) or £5 off the Family Ticket when skating. Not to be used in conjunction with any other offer or discount or Birthday Party bookings. Present this voucher to receive 10% off per headset. Present this voucher to claim £1.00 per person off standard admission prices. Not valid with season ticket or any other concessions.